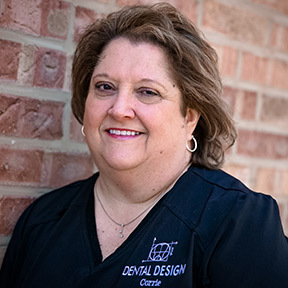 I most recently joined our wonderful dental team and I am very proud to be a part of Dental Design. I have been in the dental profession for over 25 years working as an assistant. All of my extensive experience along with my compassion has formed my combined love of dentistry and the love to help people. When the weather is nice you will find me in my backyard barbecuing and enjoying life with my family and dogs. I look forward to meeting you in our office real soon!